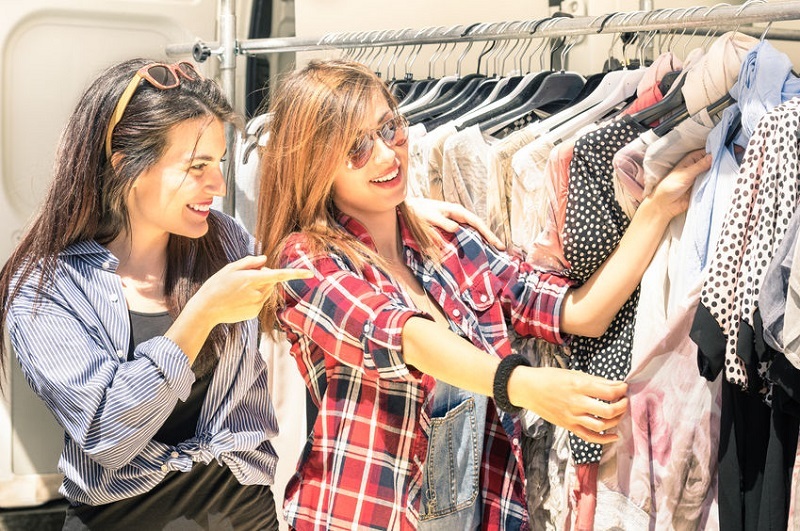 Women shop for vintage clothes for four reasons. They’re sick and tired of the current ‘trendy’ pieces that are impossible to wear, unless you are home alone. They have no money to buy what they truly want. They crave the thrill of the hunt. Or, they just want to develop their own styles and set their own fashion rules. Regardless of the reason that has made you shop for vintage clothes, don’t worry. Confident women look fabulous in whatever they wear. Oftentimes, vintage clothes are expensive so shopping for them can be very tricky. Here are some vintage clothing shopping tips you may want to use next time the eagle flies. Unlike modern pieces of clothing, vintage clothes aren’t ready to wear right away. You might need to fix some details before wearing it. Moreover, the size can be completely different. When it comes to vintage clothes, trying on any piece you’d like to purchase is a must. If that dress doesn’t fit, it’s definitely not for you. If you can correct the size of the modern dresses – sewing is a great skill, but you will certainly have trouble changing the vintage dress. My friend, who’s a vintage junkie, says that finding a high quality vintage clothes requires a lot of time, consideration and effort. Don’t fool yourself into thinking that you will be able to find your dream vintage pieces in less than an hour. Sometimes it takes weeks, months and even years to get what you want. If you’re not looking for something special, though, you can purchase some cheap yet elegant pieces and go vintage in the office. Are you ready for this challenge? Why not test your confidence? Can you identify a dress from the 5os that’s really from the 70s? Do you know something about the trends of the 20s or 40s? Google first before going vintage shopping. Learn as many things as possible about vintage wardrobe and how to identify the fake vintage clothes. Knowledge is a power that can save you money and nerves so take an advantage of modern technology. When buying a vintage piece that you know you’ll have to give to a tailor, make sure you choose a fabric content of the piece. There are certain types of fabric that is almost impossible to alter or hard to launder. Vintage clothes need more washing care than modern pieces. You can’t simply put your dress from the 20s in the washing machine and let it do its job. You may instantly fall in love with a fantastic printed garment, elegant coat or a beaded dress, but if you’re not ready for care for it, look for easy-to-possess-and-care vintage pieces of clothing to save your time. Depending on the piece you are going to buy, pockets, underarms, hems and sleeves are all the most common trouble zones that you should check before purchasing. Keep in mind that vintage clothes aren’t new. Just like our clothes are badly worn down at times, vintage pieces have some troubles too. While you can fix some problems, there are some trouble zones that you won’t be able to fix. Know your ‘enemy’ before dealing with it. Vintage clothing shopping is fun, exciting, frugal and enjoyable because you can find the piece that famous ladies wore in 20s or 60s. The piece that no one else in the office has. The piece that will make you individual. You may not be a vintage junkie, but getting a few pieces of clothing will be a great addition to your modern wardrobe. Avoid shopping for vintage clothing online, by all means. Many girls end up buying cheap modern clothes instead of expensive vintage ones, or purchase pieces that don’t fit. When the seller tells you that this dress was inspired by the 20s, it’s not a vintage dress. They should tell you exactly when it was made. In short, pay attention to the smallest details and you will never be fooled into buying something you don’t need. Do you believe vintage clothing shopping is a new trend or a hobby? What was the best vintage piece you ever bought?